For 38+ years, The Denver Catholic Worker House was a home, a community and a center for many people struggling through homelessness and poverty, or people who were striving to respond to the needs of others in a humane and dignified way. In January of 2016, a fire burned our historic home in 5 Points, Denver, and we have been displaced since then, striving to still carry out our mission – as Peter Maurin put it – to create a world where it is easier for people to be good – without a physical center for our work. We are in the process of rebuilding and hope to have another central hospitality house soon. If you would like to help with this effort please reach out to us. Now in our 40th year, we are actively raising money to rebuild the Denver Catholic Worker House! The new house will be a four bedroom house at 1027 26th St. It stands right in the middle of Emmaus Housing, a 6 unit affordable housing complex that has been operated by Catholic Worker related folks for 19+ years. In partnership with Emmaus Housing, we will buy this house and we hope it will become the new central hospitality house of our community for the next 40 years! The Denver Catholic Worker was located in the Historic Five Points Neighborhood in Denver from 1978 until January 2016 when a fire (we don’t know how it started) burnt out the interior of the house and displaced our community physically. We are an informal intentional community that practices hospitality to unsheltered people locally. 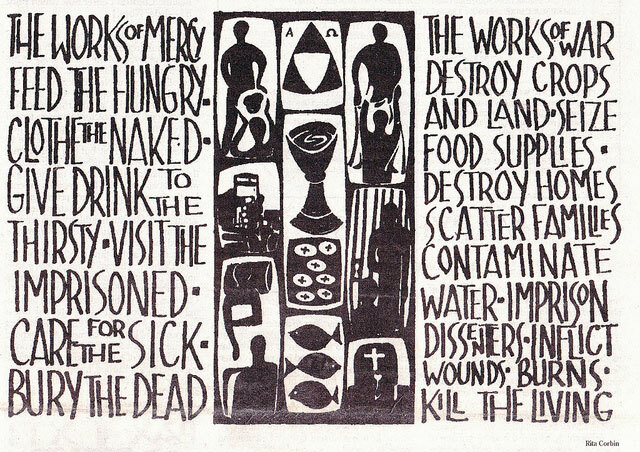 We are part of a much larger movement called The Catholic Worker Movement, which was founded in 1933 by Dorothy Day and Peter Maurin in New York City. There are over 200 Catholic Worker Communities across the globe. To find out more about the movement, or to see a directory of Catholic Worker Farms, Houses of Hospitality, Soup Kitchens, and Community Spaces go to http://www.catholicworker.org . There you can read about our movement’s values, ideals, history of activism and current work, along with archives of our newsletter articles. About Our Old House: We had 1 room for couples in committed relationships, 1 room for families (3 or larger) and 2 rooms for single women – which we lended out to people who don’t have housing of their own. Our practice has been to live with our guests in community, and we still continue to practice hospitality (arguably on a smaller scale).